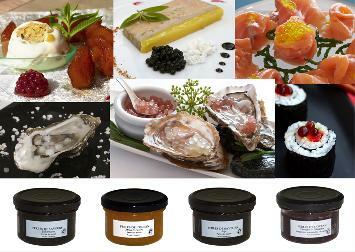 Foie gras, one of the world’s most distinguished delicacies, was born along with the ancient chronicles of mankind. 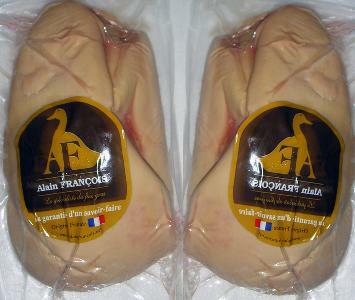 The first evidence of foie gras is found in Egyptian history, some 45 centuries ago. In the wild, ducks and geese gorge themselves prior to migration to temporarily store fat in their liver and skin. They use it for energy during their migration. Egyptians, Hebrews and Greeks used soaked wheat to feed the waterfowl, while the Romans used figs from which the word “liver” originated. The result was an enlarged fatty liver which has been the highlight of the finest gastronomy in the world for over 4,000 years. Originally cultivated in the Mediterranean region, it would appear that the Artichoke derived from the improvement of the wild (and prickly) thistle. Its presence in Italy was reported for the first time during the Renaissance, in the middle or the 16th century. As time went by, the thistle flower seems to have turned into a fleshy head. For the artichoke is a flower bud! The heart is in fact the receptacle for the unopened flowers which form the hairy central core. The leaves actually correspond to the bracts. 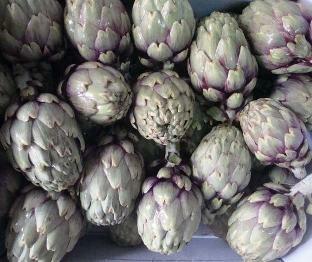 The Petit Violet, introduced into the west of France in 1991, is the smallest of the Prince de Bretagne artichokes. Slightly conical in shape, it has very attractive purple leaves. A vegetable traditionnally found in the south of France and in Italy, the Petit Violet is now enjoyed all over France and Europe. Harvested in Brittany from June to November, the Petit Violet is a small artichoke (150 g on average).